What's the Difference Between Bakelite and Catalin? Is what you have Bakelite or Catalin? Although Bakelite has very clearly won the popularity contest when it comes to naming this type of plastic among collectors, they aren't made exactly the same way even though they both have a phenolic base. "Bakelite can be molded, and in this regard was better than celluloid and also less expensive to make. Moreover, it could be molded very quickly, an enormous advantage in mass production processes where many identical units were produced one after the other. Bakelite is a thermosetting resin—that is, once molded, it retains its shape even if heated or subjected to various solvents." Celluloid was also very flammable giving Bakelite another advantage. It could be used in situations where high heat was of concern without issue, but it wasn't very attractive or versatile for use in consumer products when it came to color. Catalin, deemed "The Gem of Modern Industry" in period advertising, took things a step further in that regard. The American Catalin Corporation began making appealing plastics in the late 1920s by adding color to liquid resin that was cast in lead forms and allowed to cool slowly, according to The Bakelite Collection by Matthew Burkholz (Schiffer). The material was still durable and heat resistant, but it was a lot more pleasing to the eye. So while Bakelite was used for items like insulators for electrical systems or handles on Deco-era toasters, for instance, Catalin was used for manufacturing varied jewelry, colorful radios, and other consumer goods widely collected today. Even so, the majority of these objects are described as Bakelite now. You may occasionally see sellers use both terms when marketing plastics of this nature as well. Kitchen gadgets are some of the most commonly found items when it comes to vintage objects marketed as Bakelite. This lot includes some cigar holders on their original card as well, and an original box for one of the Cake Breakers with colorful handles. Original packaging and displays add to the value of even the most common pieces. FADA, the company founded by Frank Angelo D'Andrea in the 1920s, made a number of different radio models of Catalin that are often generically described as Bakelite. The colorful nature and interesting styling of this model make it popular with collectors of both Bakelite and vintage radios. The top of this particular radio style (the Model 1000 "Bullet" dating to the mid-1940s) is prone to cracking, so when it is found in excellent condition (like the one shown here) it can sell in the thousands. These models sell in the hundreds even with condition issues. Animal-shaped napkin rings made of Bakelite were very popular in the 1930s and a good number find their way into collections today. Most sell for $15-45 apiece in antique shop settings. Those in more unusual shapes (like the Scottie dogs on wheels shown here) and out of the ordinary colors bring higher prices. Sets are nice to find, but they don't necessarily bring higher prices in comparison to individual rings. Bakelite poker chip caddies came in a variety of shapes back when they were popular in the 1930s. This example made of marbled Bakelite as are the chips it holds. Chips like these often sell for a dollar or less individually, depending on the style and color, and the caddies without poker chips go for $50-150 depending on the style. A complete set like this one in a vivid color usually brings $200-300 at auction. Decorative clothing buttons were made of Bakelite in a wide variety of shapes like old-fashioned clothespins, screws, flowers, fruits, and dogs, just to name a few. Entire collections can be made of single Bakelite buttons in figural shapes. Other Bakelite button examples include varied geometric shapes as well as unusual versions. featuring more than one color stacked together. The more unusual the shape or color the higher the value will be. Some round Bakelite buttons fitted with highly detailed metal inserts can also be quite valuable, such as those depicting child star Shirley Temple, as one example. A variety of Bakelite items made to appeal to children were made during the 1930s. These included napkin rings and pencil sharpeners depicting Popeye and Mickey Mouse along with other Disney and King Features characters. The key to top value with these is having clean decals that are still complete. They appeal to both collectors of cartoon memorabilia as well as plastics enthusiasts. Many utilitarian objects that needed to be durable for everyday use were made of true Bakelite, which was dark in color (as opposed to the more colorful substance known as Catalin). Telephones were among these items along with industrial components, handles for cabinets, toaster handles and the like. 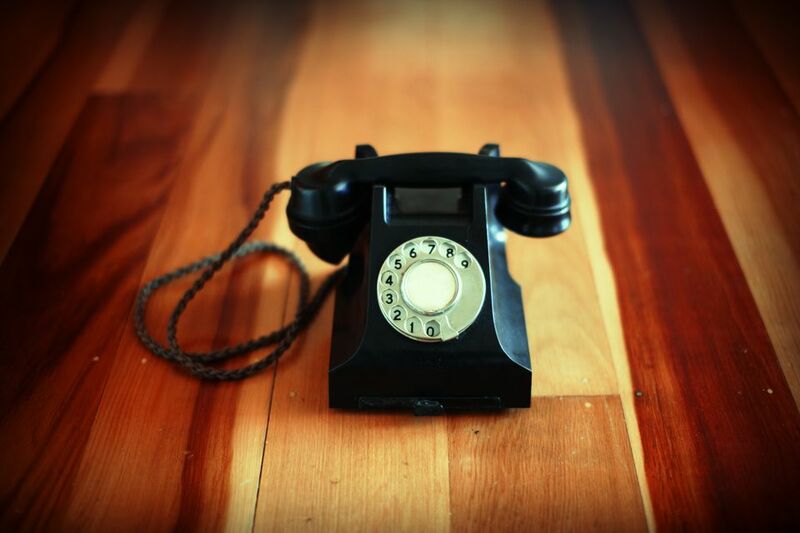 While it's interesting that the handset of this mono-phone Automatic Electric Co. Rotary Telephone phone is molded of Bakelite, the overall vintage styling makes it truly desirable. Toys were also made of Bakelite, including cap pistols like this Kilgore G-Man model with the original box. Kilgore Manufacturing Co. was the largest cap pistol manufacturer in the United States at one point. These birthday candle holders feature animals in varied bright colors. They were made using plastic that had been molded into a rod, and it was then cut into individual animals and polished to remove the sharp edges before being fitted with the metal picks and candle cups. Other objects such as napkin rings in similar shapes, albeit much larger, were manufactured in the same way. While this looks like an ordinary clothespin, it is actually an impressive 5 5/8" long. Its intended use was to organize letters, memos, or other papers by clipping them together. Making great conversation pieces, these generally sell for $100 or better today in excellent condition, and unusual colors can go for even more. Jewelry pieces like these are some of the most commonly found in terms of Bakelite. They can be combined with celluloid elements like the necklace where the cream-colored chain and actual cameo are made of celluloid while the deeper butterscotch yellow frame is made of carved Bakelite. Carved Bakelite almost always sells for a higher price than plain, smooth pieces. For instance, the carved ring held in the box in this photo would sell for more than the plain dome-shaped ring shown in the center. The long horn-shaped pin in the left side of the photo is made of "apple juice" Bakelite. This type of transparent plastic can be tested for Bakelite in the same way as the opaque examples shown here. Bakelite radios were marketed by many different brands including Emerson, General Electric, and FADA. The more unusual and colorful examples, like the Addison model shown here, usually sell in the high hundreds and sometimes break the $1,000 mark when in excellent condition. However, rarities that aren't working or have cracks can still be worth a good sum. Before tossing an old radio made of Bakelite, be sure to research the value thoroughly.